This article is sponsored by CloudV, the official cloud portable vaporizer pen store. 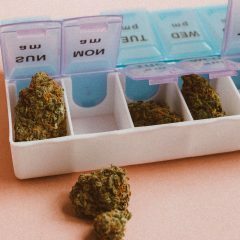 As medical and recreational cannabis legalization becomes more common in the US, one is faced with the question of how to consume. While combustion methods such as smoking have been commonplace for some time, the last two decades have seen an increased demand for vaporization. 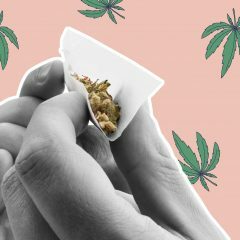 Many consumers are attracted to vapor for a simple reason: researchers feel it’s one of the healthiest consumption methods because they believe that combusting cannabis creates toxins — including some carcinogens — that disturb the respiratory system. Vaping, on the other hand, is a smokeless method that heats cannabis at a much lower temperature, releasing cannabinoids and terpenes into a vapor without the harmful byproducts. 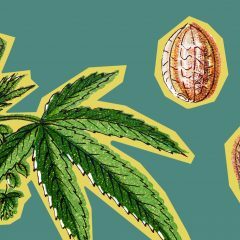 Depending on the type of vaporizer, dried cannabis flower or concentrates can be used. Is it wizardry? Futuristic superconductors? A mysterious man behind a curtain pulling levers? Not at all! Vaporizers use one of two types of heating mechanisms that extract the active ingredients from the plant matter, converting them to vapor. Cannabinoids begin to vaporize around 284°F, with combustion beginning at around 446°F. Vaporizers apply heat between those temperatures and some even allow consumers to control the temperature, thus controlling the amount of cannabinoids and terpenes released in the process. 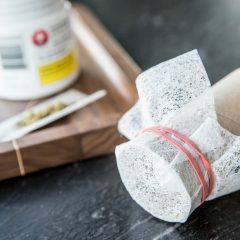 Vaporizers that use conduction operate by placing dried flower or extracts directly onto an electronically heated surface, most often a solid metal or a screen. The “hot plate” is then heated to an ideal vaporization temperature, directing heat throughout the chamber and converting the cannabinoids and terpenes into vapor. With convection heating, the cannabis product doesn’t come in contact with the heating element. Once the air has reached the ideal temperature, it is moved by either a fan or inhalation to the component containing the cannabis product, heating the flower or concentrate and converting the cannabinoids and terpenes into vapor without charring the substance. Convection heating elements are generally made with ceramic, through some use stainless steel. 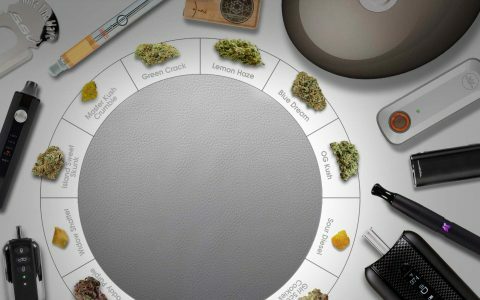 What Types of Vaporizers Are Available? Vaporizers come in all shapes and sizes. Larger, more stationary vaporizers have two types of delivery systems: whip-style and bag-style. 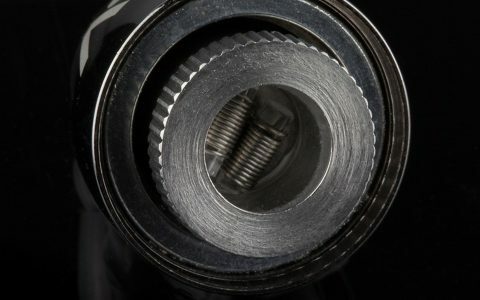 “Whip” is the technical term for the tubing that connects the vaporizer to the mouthpiece. “Bags,” or “balloons,” as they are also called, attach a food-grade plastic bag to the heating chamber. When activated, the balloon is filled with vapor using a built-in fan. 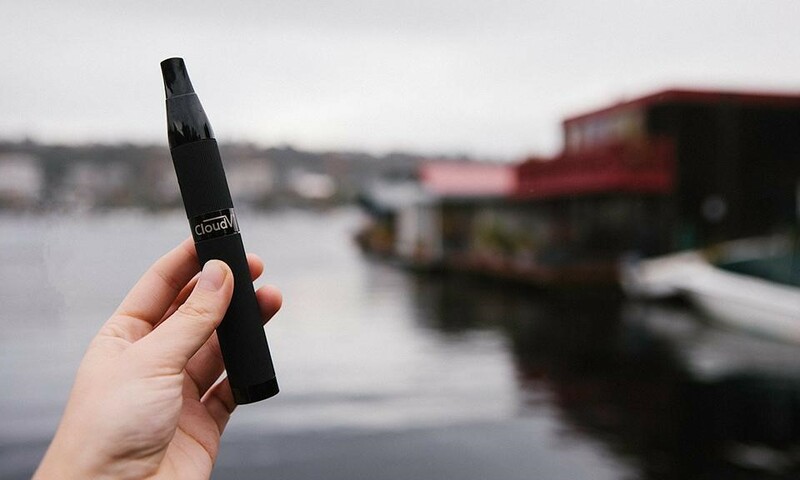 If you need more portability from your vaporizer, there is a wide variety of more compact systems, often called “pens.” One portable vaporizer on the market right now is made by CloudV. They offer several sizes and styles of vaporizing units, some designed for essential oils, some designed for ground flower. 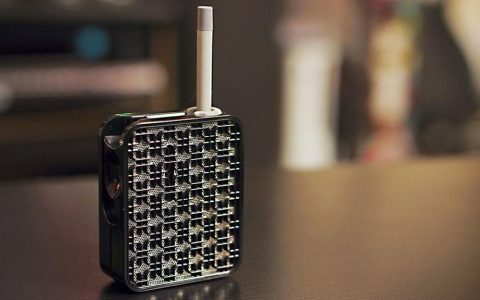 We got our hands on the Phantom, a mid-sized portable vaporizer that is easy-to-use, heats up to an optimum temperature quickly, and cools off just as fast. We were especially impressed by how well this vape retained the flavor of the strain, so it’s definitely worth checking out. Researchers believe vaporizers are a great way to consume cannabis while mitigating some of the health risks associated with combustion. If you live in a state or country with legal access, chances are vaporization technology is available near you. 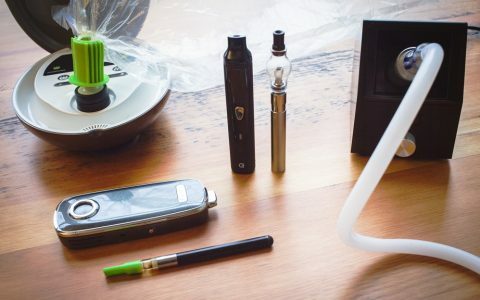 Many dispensaries carry vaporizers available for purchase, and devices such as the CloudV are sold on the Internet through manufacturer websites or online head shops. Whichever style is best for you, we hope this gives you the courage to go forth and vape with confidence! CloudV is the official cloud portable vaporizer pen store.